Pricing - Century Stone Inc. The pricing process is something that can be done quickly and easily by us. We posses the right tools to accurately determine the approximate costs of the product and the costs of installation so you can outfit your kitchen or bathroom with new granite countertops at a very reasonable price!!! We will determine the average price per square foot for your order. We will make sure that our assessment would be as close to the final cost as possible. Then, we add costs of installation and other fees that might apply. By the end of a day, you will have a pretty good idea, what your new kitchen or bathroom will cost. At that point you are just one phone call away from the look you dreamt of for your kitchen and bathroom... no need to drive to us, we will come to you. 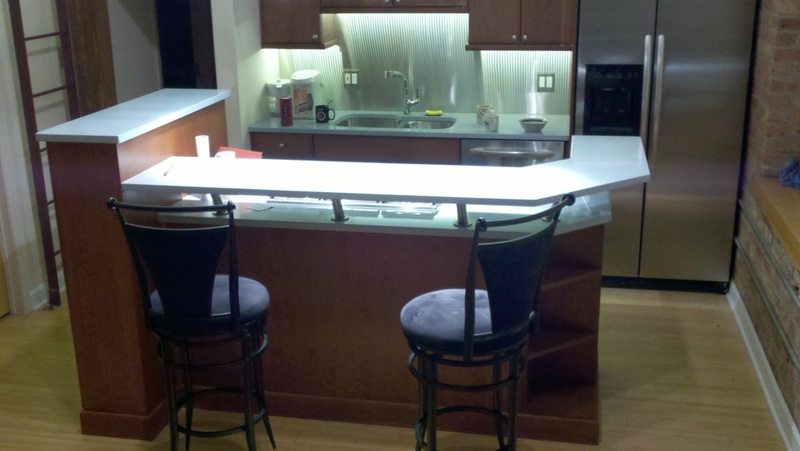 We will show you samples of granite countertops and pictures of our products and previous jobs. In a comfort of your home you will be able to pick the color and the edges you want. Then, you pick your sink... The rest is our job! Our team is the best out there, we work in two to three people teams, which are supervised from the begining to the end by the same person, so there is no confusion.